Blackberries mean the start of autumn baking. My father-in-law gave me a few earlier this week. 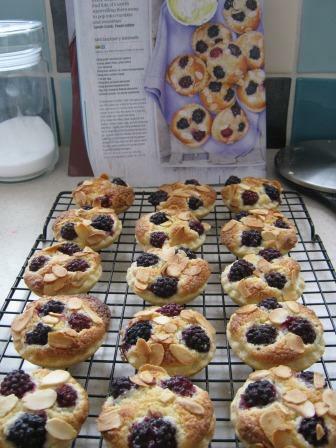 By coincidence I’d bought the latest BBC Good Food magazine which had a cute easy recipe for blackberry bakewells. So voila! 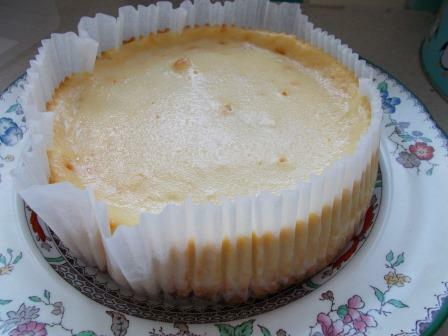 The recipe isn’t online yet, but I’m sure it will be soon. You need some pastry for the bases and then make a cake mixture with butter, caster sugar, ground almonds, egg and a tiny bit of flour. Then the blackberries are added and some toasted almonds to top them off. The recipe said it made 12, but I managed 18 out of mine. 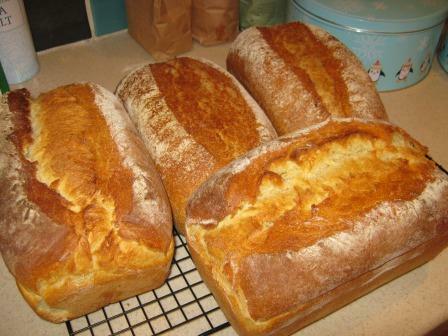 Here’s a pic of the finished article and the image from the magazine of what they should look like. Things I’d change – maybe add a little sugar to the pastry, it’s a bit dull, I just used a Great Bake-off recipe for plain pastry.